Whether you are sport orientated, love to indulge in extreme adventure fun park activities, like to explore local tourist attractions or just want quiet with the opportunity to kick back, relax & read a book then this is the ideal location to be. 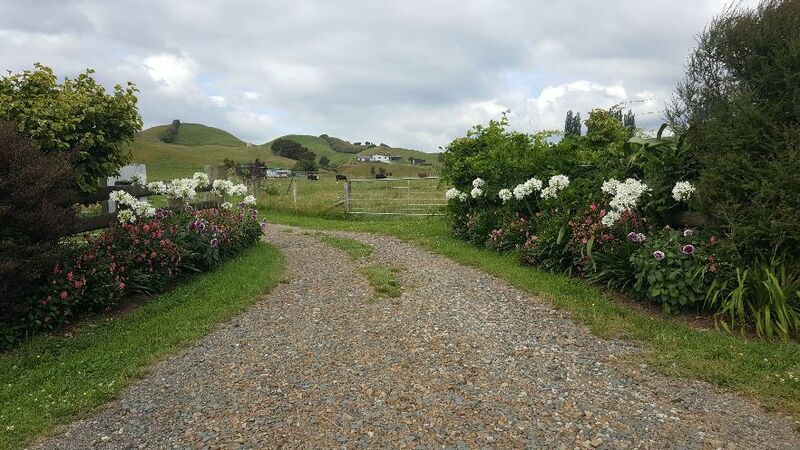 Experience the real kiwi country lifestyle in the heart of Atiamuri's dairy, beef & sheep farming community. 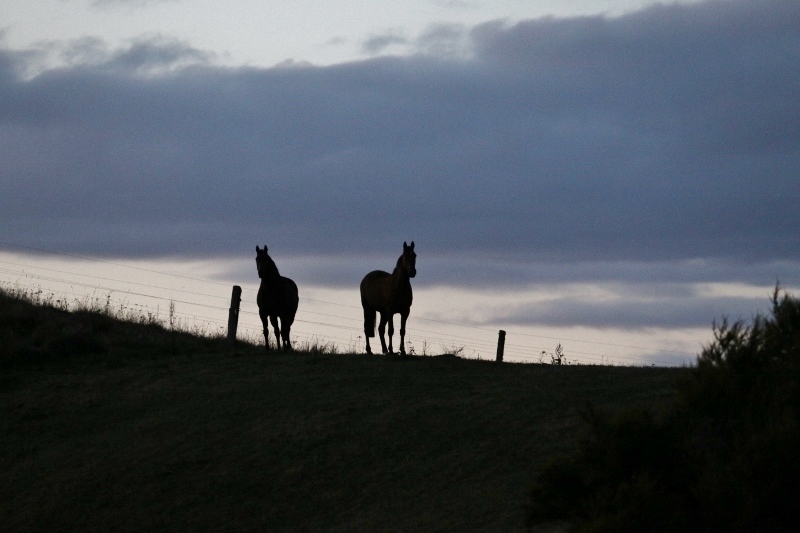 Set on 14 acres of attractive lifestyle block that we share with our cows, horses, chickens, dogs and cats. You can kick back, relax and read a book while enjoying peaceful quiet views & sunsets, or venture out into our natural geothermal backyard exploring Waiotapu Thermal Wonderland, soaking in the Waikite Valley Thermal Pools, cycling or walking the Waikato River Trail, enjoying watersports on the lakes or visiting local tourist attractions in Rotorua, Taupo or the Waikato. Our house is designed with Farmstay in mind. You will have your own private wing boasting 2 x double bedrooms, 1 bathroom with both a bath & shower and there is an additional shower and toilet in the laundry. Also, a large lounge with a flat screen TV that opens out to your own outdoor area where you can enjoy the fabulous view of Pohaturoa Mountain and gorgeous sunsets. We accommodate small children and provide a high chair a portable cot. Please bring/supply your own cot bedding. The kitchen extends out into its own dining and lounge area. This area is a shared part of the space where you can enjoy the company of your hosts Liz & John, or just spread yourselves out. If booking one room we do not rent out the other to guests unknown to you, so you wont have to share the amenities with others. 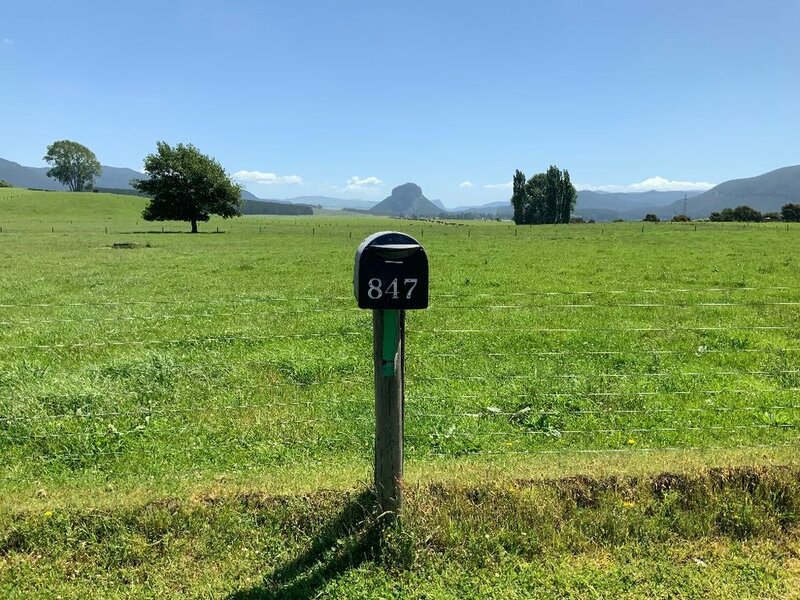 We are just a 10 minute drive away from the Waikato River Trails mountain bike/hiking track, Section 5 Whakamaru Trail, Atiamuri end. 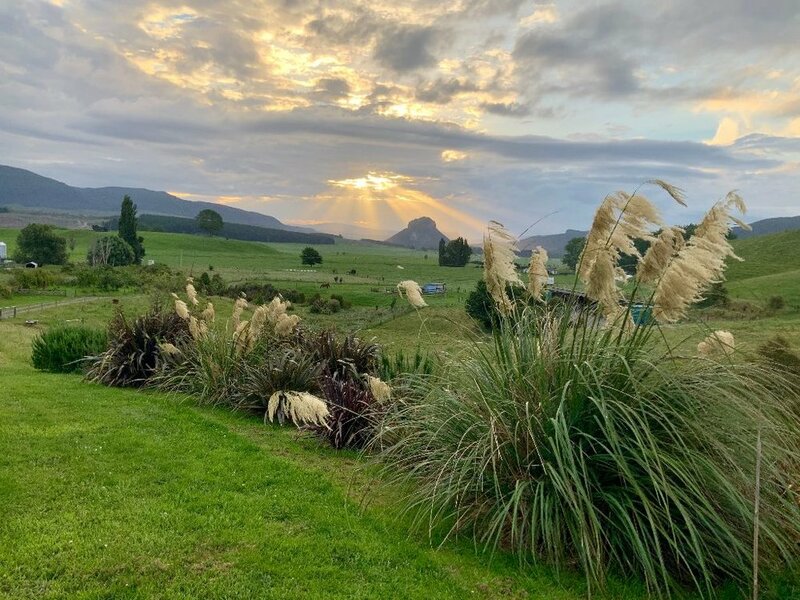 We are located 39 km from Rotorua and 43 km from Taupo, the North Islands 2 major tourist locations with all the attractions they have to offer. There are 3 lakes and power stations on our doorstep making this an ideal location for most of your watersport needs whether it's waterskiing, wakeboarding, barefooting or fishing. If you prefer your water frozen then the Whakapapa ski field on Mount Ruapehu is only 2 hours away. If water isn't your cup of tea then there is still plenty to do including bungy jumping, high rope confidence course, mountain biking, the luge, Zorbing, lions, mountain biking through the Redwoods (one of NZ's best mountain biking parks!) and of course geothermal tours in both Rotorua and Taupo. The Waitomo Glowworm Caves are a scenic 2 hour drive, and the Hobbiton Movie set a mere 1 hour drive away. 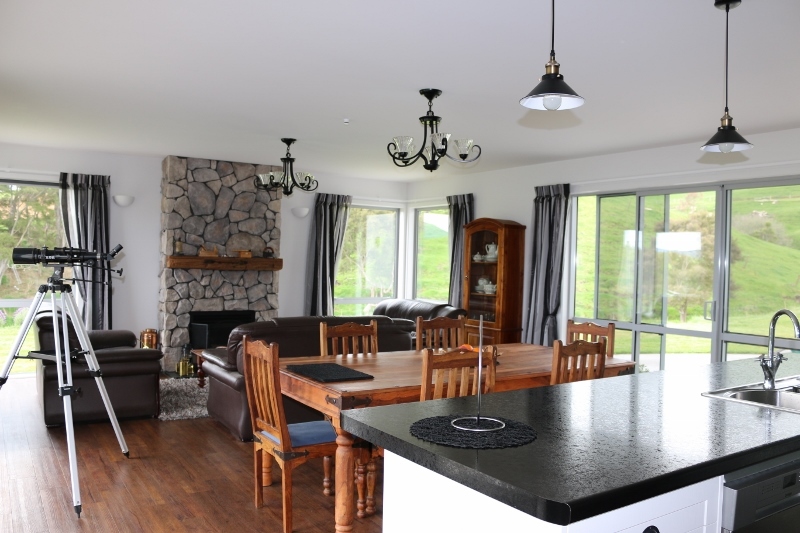 We are approximately 35 minutes drive from either Rotorua or Taupo. Evening meals are available at $25.00 per person, or you can bring your own food and cook for yourself in our beautiful kitchen. If you wish to dine out the local Bull Ring Tavern is available near by if you would like to go out and meet the locals. We accommodate small children and provide a high chair, and a portable cot as well as 1 x extra single bed if necessary. Please bring/supply your own cot bedding. We have secure parking for your vehicles, boats, jet skis & mountain bikes. We are pet friendly but there is a $20 flat charge, small household dogs are welcome by arrangement. Fresh eggs from our own hens! Fresh milk from one of the local dairy farm! Airbnb service fee - - varies depending on number of guests and length of stay, Please check Airbnb website.